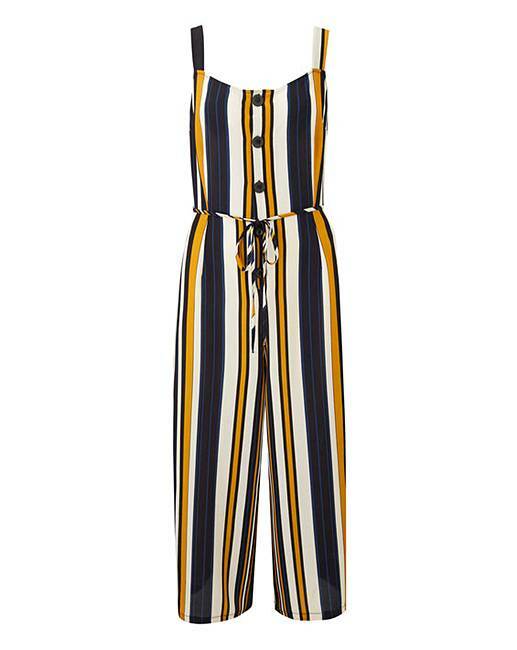 This navy stripe printed jumpsuit by AX Paris is easy-to-wear and looks fab! 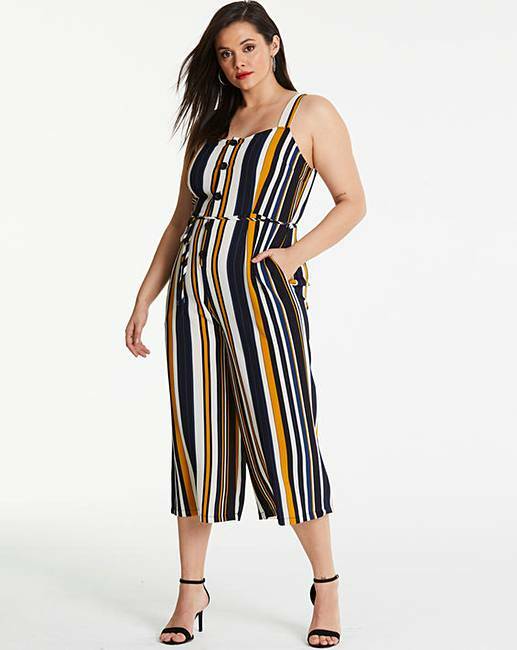 Featuring a tie in waist and button up front that instantly complements your curves. All you need to add is your favourite heels and you're good to go!